This long-abandoned terminal at JFK is about to get a makeover. 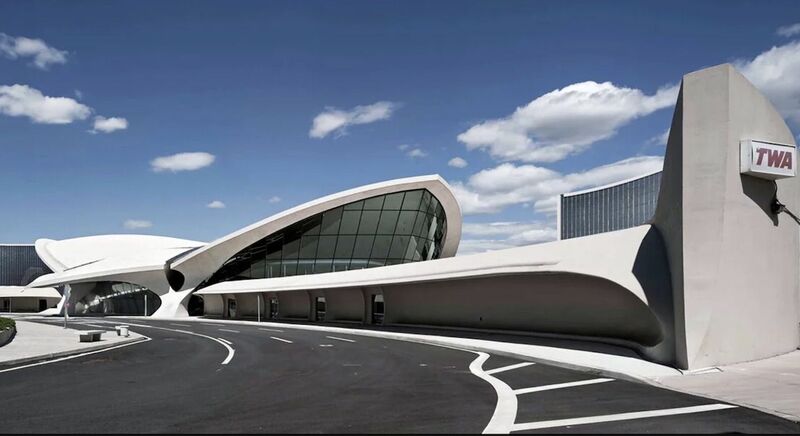 The TWA Flight Center first opened in 1962, back when JFK was called the Idlewild Airport. The terminal closed in 2001 because it couldn’t support the size of the modern airplane, but now it’s slated to reopen on May 15 as the TWA Hotel. 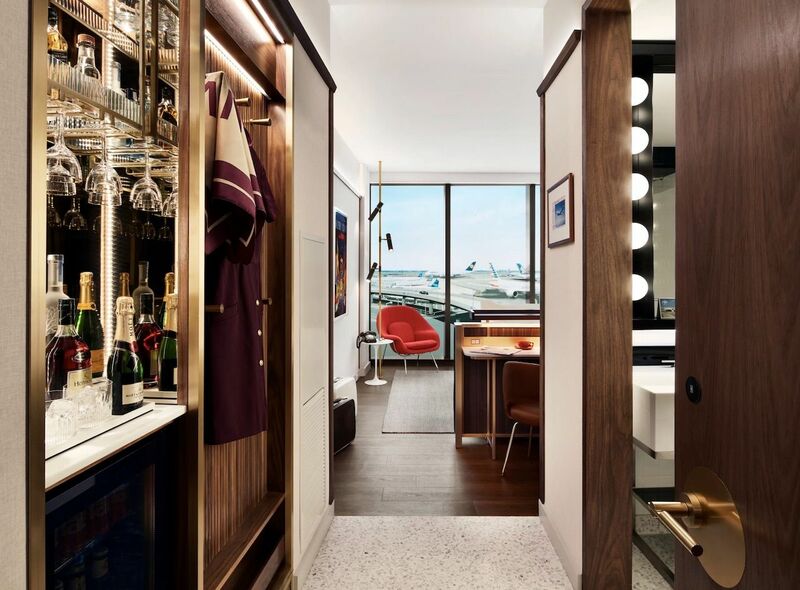 Located in two new buildings behind the old terminal, the hotel will be the first in-airport hotel in JFK, outfitted with a retro aesthetic that evokes the airport’s past. 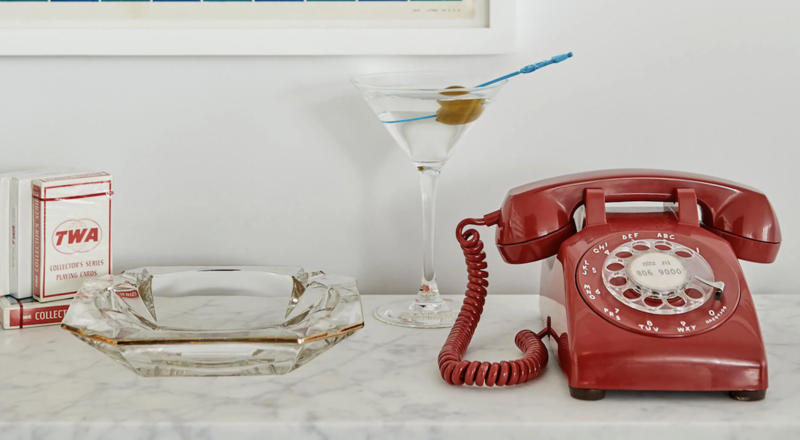 Each of the 512 rooms will feature furniture and lighting inspired by the midcentury with walnut wet bars, tambour walls, and vintage TWA advertisements. The rooms will also be made accessible by the iconic flight tubes popularized in the 2002 movie Catch Me If You Can. There will also be six restaurants throughout the hotel, including the Paris Café by Jean-Georges Vongerichten, serving food inspired by inflight menus from the old TWA. The restaurant will follow in the footsteps of the terminal’s original Paris Café and Lisbon Lounge, which closed in 2001. Guests will also be able to take advantage of a cocktail lounge inside a repurposed Lockheed Constellation L-1649A. And don’t worry, even though you’ll be in the heart of the airport, you won’t be woken by planes. The hotel will be outfitted with a glass curtain wall that’s 4.5 inches thick. 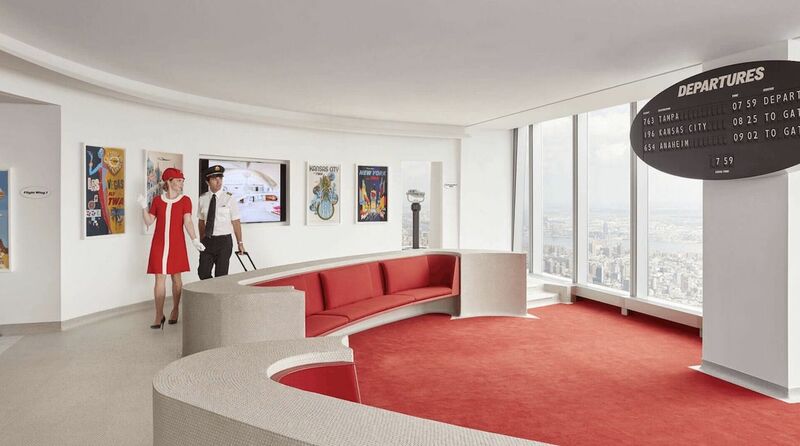 The TWA Hotel is now taking reservations for dates beginning on May 15. Rates start at $249 per night.